Established in 1995, our clinic mission is to provide progressive, compassionate, and comprehensive high-quality veterinary care with an emphasis on exceptional client service and patient care. 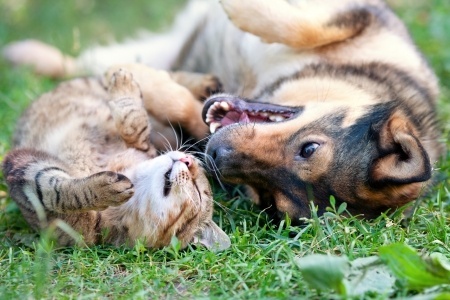 Our staff is dedicated and passionate about healing and enriching pets' lives and strengthening the human/animal bond. We have two general practitioners to provide comprehensive plans to meet all your pet's health care needs with competence and confidence. 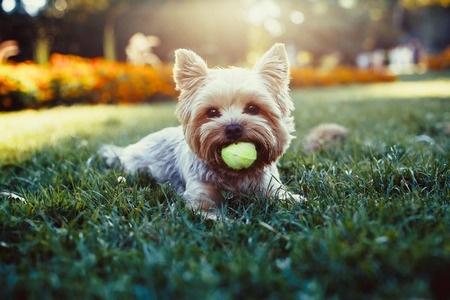 From daycare to extended stays, your pet will enjoy our quality care and spacious kennels. Enrichment activities available by request. Come by for a tour. Acupuncture & Cold Laser Therapy are alternative therapies that assist in relieving pain, speeding up healing, increasing quality of life and much more. We take great pride in caring for your animal family as if they were our own. Read what others are saying about us! 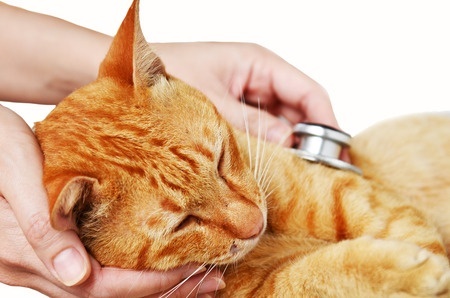 Our doctors and staff are dedicated to your pet and your experience. Come meet us to see why passion and progressiveness make the difference. Your family becomes our family. Visit our Memorial Garden where we pay tribute to the best friends who shared our life and love. To Our Friends at Aggieland: Once again you have gone above and beyond for us and we can't say thank you enough! We hope you know how truly appreciated you are! Thank you from the bottom of our hearts! Erin D. and Kristie G.
Aggieland Animal is fantastic! They have wonderful facilities and friendly staff. After working with a Greyhound rescue organization and learning about the peculiarities in Greyhound physiology I knew their expertise would benefit me and my Grey. As a veterinary student I can hope to have a clinic as wonderful one day. Jake is my sweet-tempered Dachshund mix. He is part of my family, a great friend and companion, so when I had to decide where to board him for the first time, I wanted a place with a home environment. Jake is an indoor pet, and I wanted him to be as comfortable as possible while I was away. The Aggieland Pet Resort is a bright, clean, and air-conditioned place with a professional caring staff. On our first visit we were welcomed by a friendly receptionist. She answered all of my concerns since I was leaving Jake for the first time since adopting him. A year later, I feel assured that Jake is being well cared for during his visits by the kind staff. It is an extra bonus that the resort is located within a health center and medical care is available if needed. Even though I still feel sad when I have to leave Jake, I know he is having his own vacation with friends. Bailey has been a member of the Aggieland Animal Health Center family for over three years. The staff at AAHC took Bailey in when she was a little over two weeks old and I was the lucky mom that adopted her. Since then, Bailey has spent her share of time at their boarding facilities. I have had a great experience with the staff each and every time Bailey has boarded. They take excellent care of her ensuring that she receives all of her medications during boarding, that she is fed her special diet, and that she comes home freshly bathed; however, most importantly, Bailey receives the same quality of love and attention that she would from me at home. There is truly no other boarding facility or veterinarian that I would consider using. I feel that we are as much a part of the AAHC family as they are a part of mine and because of that Bailey and I are extremely lucky! Amy R. and "Bailey" C.
I currently work at a veterinary clinic and I just have to say. What SUPERB customer service I received over the phone! A previous client of this clinic moved, and I was calling to have his records faxed. I called and Janine was more than helpful over the phone. Most of the time when you call for records, the previous clinic isn't always helpful and/or takes their time in having the records sent. She spoke with a wonderful attitude and was right on it! The client and patient were in the waiting room and once I got off the phone I said "Wow, that is the first time I have ever spoken with someone that nice when asking for records!" He replyed..."Oh they have always been great, my pet used to board there all the time and they always took care of her and I just loved them!" Now I know where to take my pets if I am ever in Texas! Great job you guys! Keep up the good work! ...Our dear Katerina passed away this past Tuesday. We are absolutely crushed, but know that time will help - after 16 years of loving companionship she has left quite a void in our lives. I had to write and let you know how very much we appreciate the excellent care that you and your staff provided Katerina over the past 5 years. It gave Michael and me such peace of mind to know that she was receiving such loving care and attention over the many times we needed to board her. Although she always made it a point to make me feel bad when I brought her in for boarding, when I peeked through the door after I left she had always immediately perked up and was greeting the staff with tail wagging. She was a funny dog! I appreciate everyone there who helped to take care of her, especially Heather and the others who would take time to hand feed her and persuade her to take her meds when she didn't want to. You have all been such a blessing in our lives, and in Katerina's - thank you so much, from the bottom of our hearts. Just wanted to let you know that our experience with Aggieland Pet Resort on the 11th-13th (of October 2010) was excellent and we will definitely recommend your services to anyone and everyone. This was our first kennel experience and I was a little apprehensive about our pit bull & the stigma that goes with the breed but we were welcomed by your staff who immediately fell in love with our little Hunkey Dorey. It was reassuring to hear that some of your staff have pit bulls as well, they treated our Hunkey Dorey great and she had a wonderful time. Thank you Gwendolyn, Heather, Janine, Brenda and Hailey for making us feel at home and thanks to Cassie for the followup call afterwards. We will definitely be back! My name is Jake, and I get to spend time at Aggieland Animal Health Center and Pet Resort when my mom has to be away. Everyone is very nice to me and they take good care of me. They give me my medicine twice a day and even put those yucky drops in my ears. I have fun while I am at the resort. There are other pets to see, places to run, and people to play with me. And when I won't eat (I do get a little homesick) the thoughtful care givers feed me by hand. I love the end-of-the-visit bath they give me before I go home and my mom loves taking home clean bedding. I think I look very handsome in my fancy neck scarf. I miss my mom while she is away, but I know I will get lots of attention from the caring people at the Aggieland Pet Resort. To everyone at Aggieland: thank you all so much for the gentle care and genuine concern that you all have shown our babies. We feel very lucky to have such wonderful people to help us care for them. We know what it takes for them to feel safe and comfortable with others, especially at a vet's office. There is no doubt that you all have what it takes. God blessed y'all with giving, compassionate hearts; thank you for sharing them with us. Jamie, Tammy and Takoda P.
Aggieland Animal Health Center has been caring for our Schnauzer, Patricia, since the end of the last Ice Age (actually it has been seven years). Twice Aggieland has saved Patricia's life. We board Patricia with Aggieland when we go out of town knowing that she will be cared for in a professional and loving manner. My wife and I recommend Aggieland without reservation. Aggieland gets five stars from the Allisons. Bryan, Jean, and "Patricia" A. We find the professional staff knowledgeable and always ready to explain each procedure conducted in the care of our cat Nicholas. We appreciate the caring attention given to Nicholas when he is hospitalized and the comprehensive explanation of his health needs by the doctors. We never worry about Nicholas when we are out of town, and when we leave him in the Pet Resort we know he will receive the best of care. We feel Aggieland Animal Health Center and Pet Resort is the best place for him when we leave. Aggieland Animal Health Center is the only place we will leave our dog, Hattie. We are always completely comfortable with leaving her and know that she is well taken care of there. We are always greeted warmly and feel like the staff member are a of part of our family. I know that Hattie always gets proper medical care if necessary, her many medications are properly dispensed and she gets plenty of love and attention. Hattie loves going to visit her friends at AAHC, and it is the next best place to being at home! I would never bring her anywhere else. Marina's first visit to Aggieland Animal Health Center and Pet Resort was in February of 2001, since then she has become a well-founded member of the Pet Resort. I have always been pleased and trust the staff explicitly. When I have to make that trip out of town, I know that I can drop her off with her friends at Aggieland and not have to worry about her one bit. Marina is given the best care that she can possibly be given while on her vacation at the resort. Aggieland Animal Health Center and Pet Resort has my full trust, and knowing that they are there for Marina makes me happy. "Marina" and Mr. and Mrs. L.
Due to a very busy lifestyle I need a veterinary service I can count on throughout the year, often with little if any notice, and feel sure that my two very active Labradors are receiving the best care possible. Without exception I've found that to be the case at Aggieland Animal Health Center, and better yet, the staff make me feel like they are family who care for and about my dogs like I do. I simply can't imagine more friendly, caring, and expert veterinary service than I've experienced with them for over five years now.